Please enjoy a lot of recorded tracks from the original album 『The Recovery of Soul Life』, 『On the Music of the Heavenly Spheres』, and 『Lake Biwa Rowing Song』released in 2018. This entry was posted in music and tagged #concert on 2019年1月20日 by Yasuharu Nagura. I will appear in a music event. I will play original songs this time. p.s. (2) In case of coming, please tell my name at the reception. Tickets can be reserved in advance. Please feel free to contact us if you have any questions. This entry was posted in music and tagged live on 2019年1月9日 by Yasuharu Nagura. The Hawaiian music by steel guitar which is said to be Hawaiian music is made by the Caucasus of the mainland of the United States, and is said to be “papa · haore · music”. Papa is a half English dull word, Haore is a white person, if literally translating it is semi – whites music. There is also a style unique to Hawaii. For example, there is a local boy wearing an Aloha shirt and playing an ukulele. Ukulele is a prototype small guitar (Bragini) brought in by Portuguese immigrants at the end of the 19th century, the theory that the Aloha shirt was made by Chinese immigrants in the 1930s is powerful. This entry was posted in music and tagged hawaiian on 2018年12月1日 by Yasuharu Nagura. New distribution store “YouTube Music” was added. ◆ New distribution store “YouTube Music” was added. Thank you very much for using songs all of the time. From today, according to the video service “YouTube” operated by Google Inc.
We started delivering music to the new music streaming service “YouTube Music”. It is a streaming service specialized for music contents by YouTube operated by Google. YouTube version of sound recording “art track” is automatically generated, it will be distributed in the area where “YouTube Music” is deployed. Music content and official music videos on YouTube along with art tracks, it can be used with various terminals (PC, smart phone, tablet, and etc…). With paid members, advertisements are not displayed, and offline playback, background playback, playback during the screen lock is also possible. If you have any questions about this matter, please feel free to contact. This entry was posted in music and tagged #youtube on 2018年11月19日 by Yasuharu Nagura. Gagaku has a history of over 1200 years and has been highly appreciated as Japanese classical music and also as a world classical music in foreign countries. Gagaku is a traditional Japanese ceremonial music and dance, and music and dance transmitted from the continent of China and the Korean Peninsula during the 400 years from the Asuka to the beginning of the Heian period, Music that is arranged in style. Since the Nara period and the Heian period, the performance of Gagaku was performed vigorously in temples and shrines as well as court. And for more than 1000 years, it continued being handed down by professional musicians in Kyoto, Nara, and Osaka. During the Meiji era, The Board of the Ceremonies of Imperial Household Agency was founded and handed down Gagaku. Recently, private group Gagaku music performance organizations are on the rise. This entry was posted in music and tagged traditional on 2018年11月1日 by Yasuharu Nagura. The article is about popular music in East Asia including J-pop, K-pop, and C-pop. First, J-pop ( abbreviation of Japanese pop) is a word that refers to popular music produced in Japan, since about 1993 after the word and concept were born around 1989. It becomes one of genres of songs sung by young people. Next, K-pop is a concept called “Korean pops” at the end of the 1980s, mass music of Korea. From the late 1980s, it was affected by the fact that the word “J-pop” began to be used in popular music in Japan. From around the late 1990’s, the term “K-pop” was used by Japanese media to refer to Korean popular music as a comparative term in Japan. Lastly, generally speaking, the popular music of Grater China is called C-pop. Many are sung in Mandarin and Cantonese. Many of Mandarin (Taiwanese) are from Taiwan, and in Singapore and Malaysia it is not as much as English or Malay but it is sung. Many of Cantonese originate from Hong Kong. (Hong Kong Pops) In recent years, Hong Kong artists who are conscious of the continent (People’s Republic of China, PRC) market and sing even in Mandarin is increasing. This entry was posted in music and tagged #asia on 2018年10月27日 by Yasuharu Nagura. This article is about modes as used in music. In the theory of western music, a mode is a type of musical scale coupled with a set of characteristic melodic behaviors. For example, the gregorian mode (greek mode) is a mode used for classification of Gregorian chant. The following modern modes are used in modern times. In Jazz, from around the 1960’s, modern modes has been used. The first method is to use as an available note scale in certain code. The second method is to use mode as a tone, and to phrasing and harmony on it. In the second method, emphasis is placed on the dominant tones and characteristic sounds. In modern times, mode is used for the purpose of escaping from music by traditional narrow sense of tonality, that is, major and minor. For this reason, Ionian is not used because it makes it feel like a major tonality which is too much conventional tonality. This entry was posted in music and tagged #mode on 2018年10月20日 by Yasuharu Nagura. Ambient music is a genre of music that puts an emphasis on tone and atmosphere over traditional musical structure or rhythm. A form of slow instumental music, it uses repetitive, but gentle, soothing sound patterns that can be described as a sonic wallpaper to complement or alter one’s space and to generate a sense of calmness. Intended to relax, the genre is said to evoke an “atmospheric”, “visual”, or “unobtrusive” quality. Ambient music focuses on creating a mood or atmosphere through synthesizers and timbral qualities, often lacking the presence of any net composition, beat, or structured melody. It uses textural layers of sound without prevalent musical tropes, rewarding both passive and active listening. Nature soundscapes are usually included, and the sounds of acoustic instruments such as the piano, strings, and flute, among others, may be emulated through a synthesizer. As a genre, it originated in the United Kingdom in the 1970s, when new sound-making devices were being introduced to a wider market, such as the synthesizer. Ambient music may have elements of new-age music due to usage of (synthesized) instruments, and drone music, as some works may use sustained or repeated notes. Ambient did not achieve large commercial success, being criticized as having a “boring” and “over-intellectual” sound. Nevertheless, it has attained a certain degree of acclaim throughout the years, especially in the internet age. Due to its relatively open style, ambient music often takes influences from many other genres, ranging from classical, avant-garde music, folk, jazz, and world music, among several others. This entry was posted in music and tagged ambient on 2018年10月13日 by Yasuharu Nagura. Electronic dance music (also known as EDM) is a broad range of percussive electronic music genres made largely for nightclubs, raves, and festivals. It is generally produced forplayback by disc jockeys (DJs) who create seamless selections of tracks, called a mix segueing from one recording to another. In Europe, EDM is more commonly called ‘dance music’, or simply ‘dance’. On the otherhand, Intelligent dance music (commonly abbreviated as IDM) is a form of electronic music that emerged in the early 1990s, characterized by an abstract or “cerebral” sound better suited for home listening than dancing. Inspired by a variety of sources, including techno, acid house ambient music, and breakbeat. IDM tended to rely upon individualistic experimentation rather than adhering to characteristics associated with specific genres. This entry was posted in music and tagged edm on 2018年10月6日 by Yasuharu Nagura. 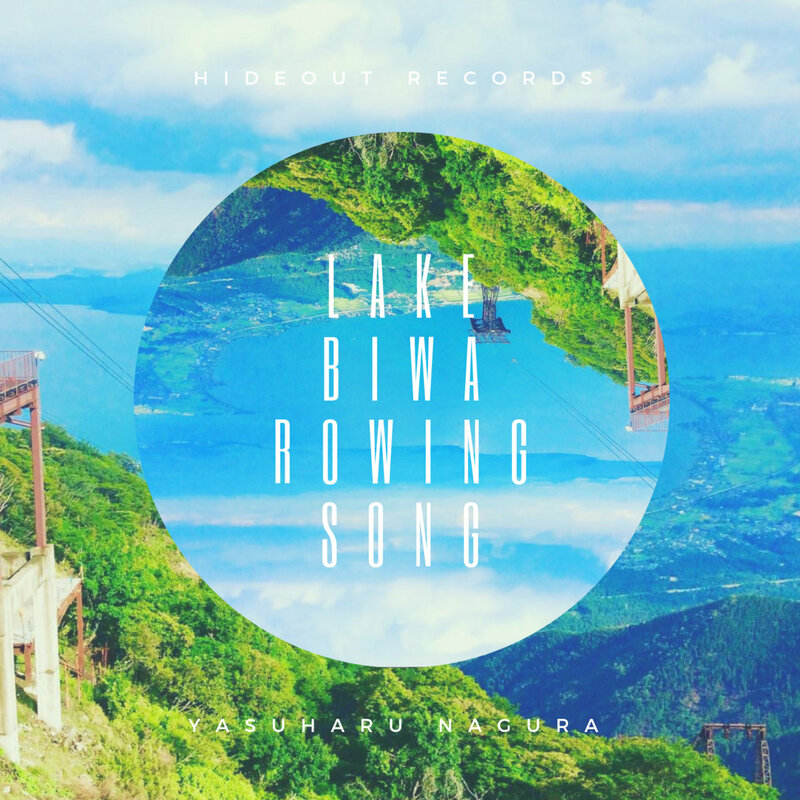 Yasuharu Nagura has performed new live recordings entitled 『Lake Biwa Rowing Song』that is released October 1, 2018. He stayed in Otsu city, Shiga prefecture on August 13, 2018. After crossing the Biwako Bridge, he found a piece of music at the Biwako Ohashi Kome Plaza. It is called Biwako Shuko no Uta which is translated as Lake Biwa Rowing Song. Based on the score, he expressed Lake Biwa and its flow of water. He has made a few adjustments to the composition. The photograph of the album is Lake Biwa in Shiga prefecture. It was taken from the mountaintop of Mt. Uchimi (altitude 1,096m). This entry was posted in music and tagged travel on 2018年10月1日 by Yasuharu Nagura.